Find free classifieds for Land for sale for sale or to buy in Tamil Nadu. FREEADS in India offers you a platform to post free advertisements or classifieds for Land for sale, Tamil Nadu. FREEADS in India helps you search, find, buy, sell, rent or hire in various categories like apartments, goods for sale, local services, cars , jobs and many more in Tamil Nadu. Shown below are ads available in Land for sale, Tamil Nadu. You can use search box above to refine your search. St John’s Nagar in Thiruvallur. DTCP Approved plots Sale at St John’s Nagar in Thiruvallur. Situated Towards mappedu junction. 300mts from Thiruvallur to Mappedu Bus Stand. 3km from Thiruvallur to sripermbudur highroad. 3Kms from Police Station and Register office. 3Kms from Caterpillar and Hindustan Company. 4kms from St.
plots for sale in Thiruvallur. DTCP Approved Residential plots for sale in Thiruvallur. 2Km From chellammal Hr.Sec.School. 2Km From Hindustan Motor Company. 2Km From Manavala nagar police station. 2Km From Sub- Register Office 2Km From Caterpillar & Lancer company. 3Kms from Thiruvallur to sripermbudur road . Mother Theresa Nagar in Thiruvallur. Residential plots for sale in Jemi Mother Theresa Nagar in Thiruvallur. Schools, hospital, church within ½ kms. 1.5kms from Ragavendra Temple. 2Kms from chellammal Vidhyalaya School. 2 kms from Hindustan Motor Company. 2kms from Manavala nagar police station. 2kms from Manavala nagar Register Office. Agricultural land about 4 acres square land , this property is located at pulivalam near to trichy .This land is suitable for farm house, layout , this land has both side road approaches, one open well is there , best suitable for investment, agriculture etc., .Interested buyer can contact immediately..
1. Registration free 2. Fencing free 3. 40 Trees free 4. 5 Years Maintenance free 5. Street Light, 6. 30 Feet Road, 7. Good Water Facility from 25 Feet, 8. Swimming Pool, Club House, Play Ground, 9. Booking amount only: 1 Lakhs More Details Contact: Bharatha ganesh B. 150 Acres Multi Purpose Land is available for sale near Tirunelveli, Tamilnadu, India - Stamp Duty Free - Save 50 Lacs - Fully Fenced and Full Cluster Beans Cultivation - 1 Open Well and Bore Wells with TEN FREE Electricity Connections available - Highly Fertile Red Soil - Good Water - Suitable Agri Projects, Agro Industries, . Vishalakshi Nagar, Erayamangalam village, Thiruvallur. DTCP Approved plots for sale in Jemi Vishalakshi Nagar, Erayamangalam village, Thiruvallur. ½kms from Schools, hospital, church. 300meters from Ragavendra Temple. 2.5kms from mappedu junction. 2.5kms from St.Joseph College, School and hospital. 3Kms from chellammal Vidhyalaya School. 3kms from Hindustan Motor Company. DTCP approved Plots Sale at VMR Nagar 3C in Sriperumbudur ( Backside of Royal Enfield Company ) 2km from Arun Excello Temple Green apartments and CBSE Boarding School. Nearby Yamaha Motor Company and Royal Enfield Company. 4 km from Oragadam junction. Rs-250/- Per Sqft. DTCP Approved Residential plots for sale Sathya narayanapuram in Thiruvallur. Very Close to chellammal Hr.Sec.School. Very Close to Hindustan Motor Company. Very Close to Manavala nagar police station. Very Close to Sub- Register Office Very Close to Caterpillar & Lancer company. DTCP approved plots Sale in Vasantham Nature City at Sriperumbudur 1Km sriperumbudur to oragadam road. 1kms from little flower school. 1kms from Montford CBSE School . 1kms from Venkateshwara Technology College. 2km from Arun Excello Temple Green apartments and CBSE Boarding School. 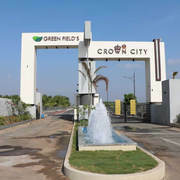 DTCP approved plots available at sriperumbudur 3km From sriperumbudur to oragadam road. Behind Mahidhara supreme City. 3kms from little flower school. 3kms from Montford CBSE School. 3kms from Venkateshwara Technology College. 3km from Brindhavan apartments. 3kms from mudichur manimangalam Road 2. VGP Ramanujar Town Part III at Sriperumbudur. DCTP approved plots for sale in VGP Ramanujar Town Part III at Sriperumbudur. Just Opposite to NOKIA Company. Nearby Proposed Chennai To Bangalore Express Highways 1 Kms from Chennai -Bangalore Highway. 500meters Jeppiaar Mamallan Engineering College. 500meters from Balaji Matriculation School. DTCP approved plots sale in Jemi Ethiraj Nagar in Mappedu (Thiruvallur ) 500meters from St.Joseph’s School & Hospital. 500meters from Grace Arts & Science College. 300meters from Indian Bank, Petrol Bunk & Police station. City Bus facility available from Chennai-CMBT. Just opposite to Mercedes Benz Company Near Mappedu Junction. DTCP Approved Plots Sale at Jemi Nagar in Sriperumbudur..Just 1km from bangalore highways and Rajiv Gandhi Memorial...Nearby Houses Available...If further Details Contact : Laxman 9003097556. DTCP approved plots in shrama Nagar at sriperumbudur. Just 300meters from Aavisa Golf Township. Just 2kms from Flextronics Company. Just 2kms from Samsung Company. Just 2kms from Dell International. Just 1km from Jeppiaar Institute of Technology. 2.5kms from Chennai-Bangalore highway. DTCP Approved plots Sale at Thiruvallur. DTCP Approved plots Sale at Thiruvallur. Situated Towards mappedu junction. 300mts from Thiruvallur to Mappedu Bus Stand. 3km from Thiruvallur to sripermbudur highroad. 3Kms from Police Station and Register office. 3Kms from Caterpillar and Hindustan Company. 3km from Chellammal H.Sec.School. .
DTCP Approved Residential plots for sale in Shanmugapriya Nagar Thiruvallur. 2Km From chellammal Hr.Sec.School. 2Km From Hindustan Motor Company. 2Km From Manavala nagar police station. 2Km From Sub- Register Office 2Km From Caterpillar & Lancer company. 3Kms from Thiruvallur to sripermbudur road . Jemi Mother Theresa Nagar in Thiruvallur. Residential Plot no-99 located in the Balaji nagar on the main road of Tiruvallur collector office to kadambatur Main road, (6km from Collectorate and 2 km from Kadambatur EMU railway station. All basic amenities are available at the strategic location of the plot such as Police station, petrol bunk, School, Railway stn, Bus stand, Engg colleges, , Temples, Churches and large integrated township SUN CITY. we offer the 34acre land for sale in kodaikanal near pannaikadu please contact for more details. Pollution Free & Serene Nature. Very close to Western ghats & Aliyar dam. Easy Drive to City, School, Colleges, Banks, Hotels, Temples, Hospitals & ATM. The land is best suitable for Agricultural & Residential purposes. Climate •	Steady all year around •	Similar to Hawaii •	Advantages of both North East & South West monsoon seasons After Pollachi Town, Kottur-Malayandipattinam is an important commercial centre for many of the neighboring villages and Hill people. 1000 Properties Provide Luxury Villas in Saravanampatti, We are the best Real estate in saravanampatti. also provide quality villas in nehru nagar. We Sai Field properties one of the best real estate Builders of Villas in Coimbatore and Land Promoters of Properties, who understands your need for articulately designed Villas with perfect quality. OTTAKADAI TO THIRUVATHAVUR MAIN ROAD 1KM FROM THE THIRUMOHUR TEMPLE 3 KM OTTAKADAI JUNCTION 4 KM FROM HIGHCOURT 7.5 KM FROM MATTUTHAVANI BUSSTAND MAIN ENTRANCE ROAD 30 FEET THAROAD & CUT ROAD 25 FEET ROAD QUICK APPRECIATION LAYOUT READY CONSTRACTION PLOT SIZE IS 2300SQFT TESTY WATER. Srinivasa Nagar (Pudhuthamaraipatti Village) Ottakadai To Thiruvathavur Main Road 1km From The Thirumohur Temple 3 Km Ottakadai Junction 4 Km From Highcourt 7.5 Km From Mattuthavani Bus Stand Main Entrance Road 40 Feet Tharoad & Cut Road 30 & 25 Feet Road Quick Appreciation Layout Ready. India ads for Land for sale, Tamil Nadu, Land for sale free ads Tamil Nadu, Land for sale for sale Tamil Nadu, Land for sale to buy in Tamil Nadu. This page is a classified ads listing for Land for sale Tamil Nadu. This listing includes classifieds for sale and to buy in Tamil Nadu. If you posted an advertisement on Land for sale, Tamil Nadu before please use Edit my ads button to change or cancel your ad. Land for sale Tamil Nadu ads Tamil Nadu, Land for sale classifieds Tamil Nadu, Land for sale free ads Tamil Nadu, ads for sale Tamil Nadu, ads to buy Tamil Nadu, FREEADS in India. Find here ads for sale, to buy and rent in Tamil Nadu. Goods for sale in Tamil Nadu, vehicles for sale in Tamil Nadu, Tamil Nadu real estate for sale, Tamil Nadu property for sale, property for rent in Tamil Nadu, business ads in Tamil Nadu, Tamil Nadu business classifieds, services in Tamil Nadu, Tamil Nadu services ads, jobs in Tamil Nadu, pets for sale in Tamil Nadu, Tamil Nadu dating, Tamil Nadu cars for sale.